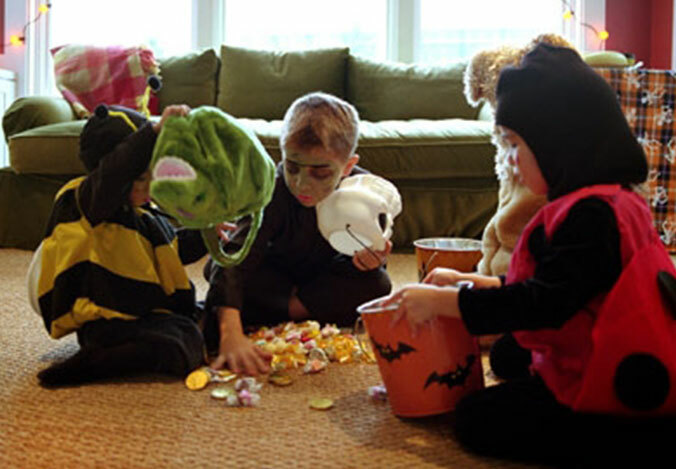 It’s every child’s favorite part about Halloween – trick or treating! What’s not to love about cool costumes and free candy? That’s right, nothing. Since October 31 falls on a Friday in 2014, there are plenty of options for local trick or treat schedules, from the day of the weekend before or after. Whatever the plans are in your town, safety is always an important factor to keep in mind. Keep it fun, but keep your kids safe. 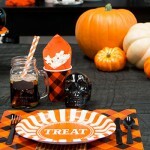 Here are BuyCostumes.com’s top trick or treat safety tips to ensure you have a happy Halloween. Dress for the weather. If you live in a warmer climate, this might not apply to you, but late October temperatures can easily reach below freezing in certain areas. Many costumes are made of thin fabric which means layers can easily be added underneath. 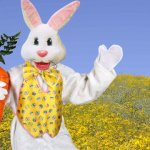 For little ones, fuzzy or plush costumes may be the best option. Check for tripping hazards. If your child’s costume features baggy pants or a flowy skirt, adjust it with pins or by tucking it in so that it can’t get tangled around the feet. Make sure your child can see. Some masks might seem fine in the light, but could end up greatly reducing your child’s vision at night. Test out masks or helmets the night before. Make sure your child is not allergic to their Halloween makeup. Test all makeup in a small, inconspicuous area of skin before applying to the face. Keep accessories manageable. We doubt you have to worry about an Incredibles-style cape incident, but make sure that all capes, wings, tails, etc. are firmly in place and out of the way. Use fire-retardant or non-flammable costumes. Some houses may decorate with real candles, and it’s better to be safe than sorry. Plan the route ahead of time. Not only will this ensure you stay in a nice neighborhood, but it will let your child know exactly what’s happening. Walk, don’t run. Your child has every excuse to be excited, but the last thing you want is for a fun experience to end with a fall on the pavement. Stay visible. 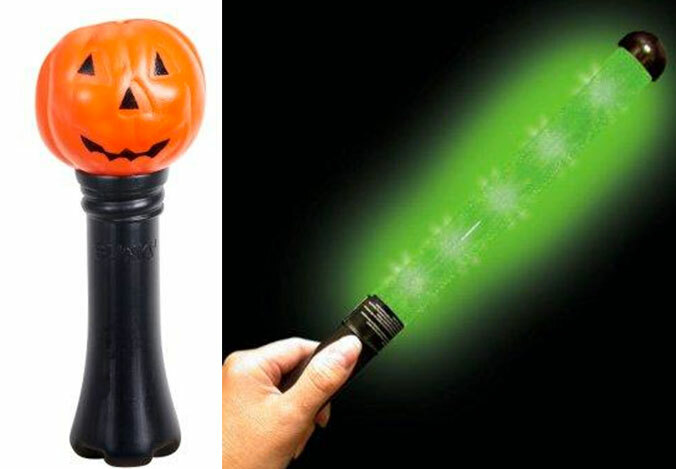 If your community trick or treats at night, use flash lights and light-up costume accessories (for example, a Star Wars Lightsaber) to make sure your child is visible to traffic and passersby. 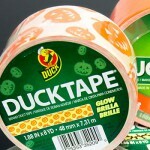 You can add extra visibility to any costume with glow sticks, reflectors, and glow in the dark Duck Tape, too. Avoid dark houses and areas. Not only should you and your child be visible, but so should the area. Avoid unlit areas like alleyways, and don’t approach houses that have the lights out. Stay on sidewalks. If your community does not have sidewalks, keep to the extreme edge of the road and be very cautious when crossing. Stay together. 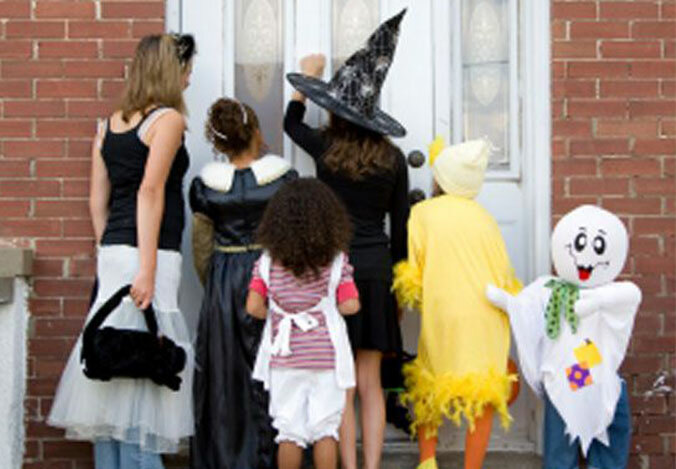 If possible, trick or treat with a group of other parents and children. As the old adage goes, there’s safety in numbers, and a large group is more visible than a single child. Walk with your child to the door. It’s also fine to remain at the sidewalk, especially if it’s a well-lit area with other people around, but keep an eye on the child at all times. Check the candy buckets. 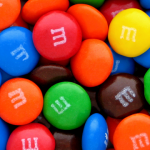 Discard pieces of candy that have been partially opened, as well as anything that looks dirty. Remove anything that could trigger your child’s allergies. It’s understandable that your child may want to dig right into their glorious bounty, but make sure to take out anything that may be harmful first. Avoid homemade treats that were given by strangers. If you know and trust the house giving a homemade item to trick or treaters, there’s likely nothing to worry about. Use your best judgment. Practice moderation. 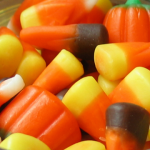 There’s no need to put your kids on a hard and fast candy ration – it is Halloween, after all – but keep the gorging to a minimum for the sakes of tummies and teeth. Have a happy and safe Halloween! What was your favorite part about Halloween when you were a kid? If you liked this post and want to see more like it, let us know! Follow us on Facebook and Twitter, and check out our Pinterest boards for our collections of costume ideas. 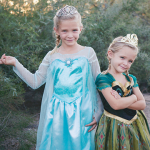 Shop Halloween costumes for kids on BuyCostumes.com. Find more Halloween costume ideas. Where Does the Candy Come From?